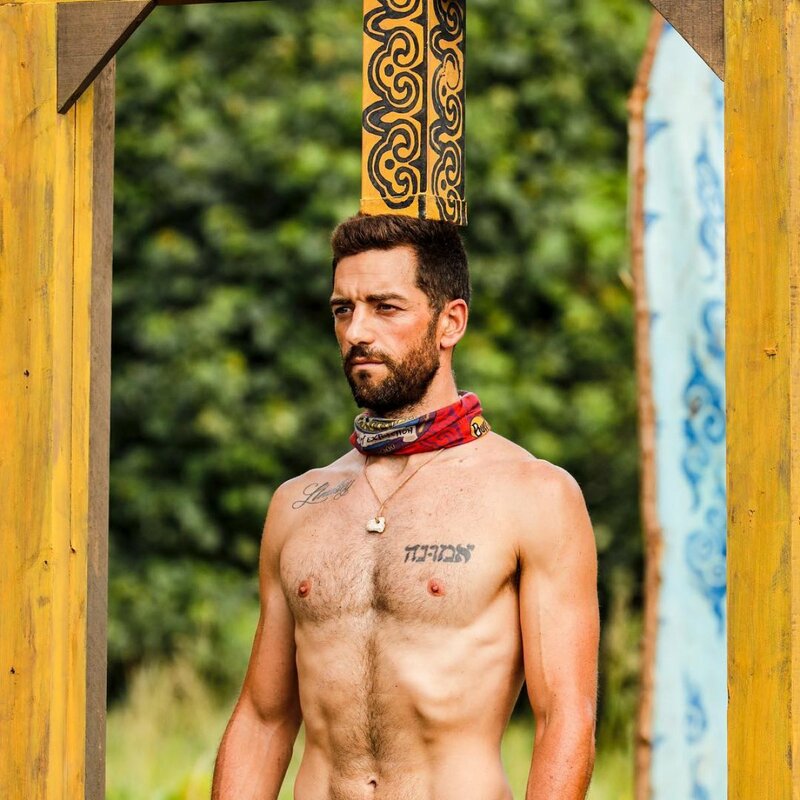 The Vata tribe voted out Eric, a 34-year-old firefighter from Chicago, IL, who currently resides in Livermore, CA, through an 8-2-2 vote at Tribal Council on Night 22 of the game. Eric became the eighth person voted out of Survivor: Edge of Extinction and the fifth member of this season's jury. Eric, however, decided to stay in the game and wait for an opportunity to possibly play again for the $1 million grand prize by traveling to the Edge of Extinction. "Yeah, they got me pretty good. Somebody mounted something," Eric said following his vote off. "So here I am on the Edge of Extinction. All I know is that it's hard. I don't know how many days I have to be here, but I have a sense that this is going to be the crucible of eternal struggle." Lauren O'Connell, a 21-year-old student at Baylor University from Bakersfield, CA, who currently resides in Waco, TX, received two votes at Tribal Council. And Kelley Wentworth, a 31-year-old marketing manager from Ephrata, WA, who currently resides in Seattle, WA, and previously appeared on Survivor: San Juan Del Sur and Survivor Cambodia: Second Chance, also received two votes. The Survivor broadcast began on Night 19 at the merged Vata tribe. The tribe discussed how they were shocked Aubry Bracco, Reem Daly and Chris Underwood were members of the jury and still living over on the Edge of Extinction. Aurora McCreary then noted she and Joe Anglim were the only original Kama members left out of the last vote and obviously Joe was gone now. Eric Hafemann and Ron Clark attempted to assure Aurora they were still solid and Kama strong, but she no longer had any allegiances. "I don't care who I go with at this point. I'm only going with the numbers," Aurora said in a confessional. Ron then expressed how David Wright and Rick Devens owed him one for saving them. Ron told David the two votes for him had come from his former Lesu tribe members, which David had anticipated. Ron wanted David and Rick to be furious at Lesu for his own benefit, and he predicted the two guys might stay loyal to him going forward as a result. Ron noted Lauren O'Connell, Kelley Wentworth and Dan "The Wardog" DaSilva were on the bottom and they supposedly knew it. Meanwhile, Wardog discussed with Kelley and Lauren how they got played and needed to sit down with David and Rick to hash things out. Wardog also hoped to rope Aurora into their group since she had been excluded from the last vote and her own allies voted out her buddy Joe. Wardog envisioned grabbing David, Rick and Aurora and then drawing rocks at the next vote, hoping for the best. Over on Extinction Island on Day 20, Joe was crying but trying to keep it together and figure things out. He assumed the lonely island was where he was meant to be. The Vata tribe was then shown meeting with Survivor host Jeff Probst for a Reward Challenge. Jeff instructed the group to race through a series of obstacles, retrieve a bag of puzzle pieces, race to the finish, and then use those pieces to solve a plank puzzle. The first six players to finish would win Reward in the form of Chinese takeout. The two teams were Aurora, Rick, Wardog, Eric, Julia Carter, and Victoria Baamonde against Kelley, Gavin Whitson, Lauren, David, Ron, and Julie Rosenberg. Victoria and Julia ended up beating Ron and David on the puzzle, so their team won Reward. Ron was glad about the results because he didn't want Lauren or Kelley to gain strength and endurance for the next Individual Immunity Challenge. "I'm the puppet master. I'm trying to break them down," Ron told the cameras. Later that day, Lauren complained about being "so freaking hungry." She felt cursed about not being able to win anything. Kelley then apologized to David for what had happened at the previous Tribal Council. Kelley noted they fell into Kama's greater plan to go against each other and that's exactly what they should not be doing. Kelley didn't want Kama to run the game, and so she was hoping the former Lesu members would come together and pull in Aurora to make six and hopefully vote one of the Kamas out. Kelley shared her thoughts with David and said Ron and Eric were running the show, which David appeared to agree with. Kelley then suggested in order to gain the numbers instead of having to draw rocks, David should make the other side think they had Rick and himself so they'd potentially split their votes in case someone had a hidden Immunity Idol. David loved the idea and grew "excited" about a potential blindside. He didn't want to be a pawn in Kama's game. Eric then spoke to Ron about splitting their votes between Kelley and Lauren. Meanwhile, Wardog attempted to get Rick back in with former Lesu, but Rick had no desire to do so because he said they had stabbed him in the back "over and over again." Rick also hated the idea of working with Kelley because she had tried to vote him out twice. Wardog suggested Rick shouldn't play with his emotions. "I don't like being barked at. I'm not going to work with them. If I know I can't trust Lesu, then I'll do everything I can to get in with Kama. They just saved me at the last Tribal," Rick explained in a confessional. But just as Rick said working with Lesu wasn't going to happen, David spoke to him about how they were puppets for Kama and "not driving this game." David told Rick they needed to navigate their own ships because at this point, Ron and Eric were the captains. Rick, however, wanted to play the game that was best for him. Rick told David, however, he was "dreaming" and "getting played" by Lesu. David was so upset his alliance with Rick was falling apart because he'd have to find another path to Day 39. Rick even asked David for his half of the idol back, and David refused. The following day on Extinction Island, Chris discovered a bunch of wine bottles with a message in them, and the players soon learned an advantage was "at stake" and awaited them. The players got a clue to "step back and relax," but they were all confused about what that might mean and where they could find the advantage. Aubry then found a key and a clue inside the giant stairs on the island, and she was sent to a post on the beach wrapped in rope. Aubry would get to practice for the next "Edge of Extinction Challenge." Aubry was also afforded the opportunity to send an extra vote to someone in the original game. She knew this could be the key to survival for someone struggling. It then became time for the season's next Individual Immunity Challenge. The Vata tribe met with Probst and learned each castaway must balance on his or her toes inside a wooden frame with a block wedged between the person's head and the top of a frame. When a player's legs gave out, he or she would be out of the challenge. The last person standing, however, would win immunity and be safe from the next vote at Tribal Council. After 25 minutes, David, Victoria, Aurora, and Lauren were still fighting for the immunity necklace. Once David dropped out, Lauren noted to the group, "I can't see anything. I'm about to black out." Lauren then passed out and fell off her frame. As the medical team tended to Lauren, Aurora pleaded with Victoria to give her the victory so she would feel better and safer with Kama. "I was the only one left out of the vote, dude," Aurora told Victoria. "You want me to trust you? I need this." When Lauren woke up and learned she had fainted, she yelled, "Damnit!" Victoria's wedge then dropped out of nowhere and Aurora ended up winning immunity. Lauren admitted it was "really scary" to pass out but even more frustrating that she was out of the challenge. She acknowledged, however, she still had an idol she could play if necessary. After the challenge on Day 22, Aurora celebrated her win, knowing she was 100 percent safe. Aurora then suddenly found a parchment in her bag and discovered she would be able to cast a second vote at Tribal Council. She figured Joe or Aubry had given it to her. "I went from feeling not accepted to having the power," Aurora noted. Aurora planned to stick with the numbers and hold her tongue until it was time to make a big move. The Kama group then discussed splitting their votes between Kelley and Lauren in case one of the ladies had an idol. Eric intended to start with Kelley. Kelley knew Kama was a giant voting block with Rick, so she figured Lauren or herself was the target. The girls therefore talked about whether to play Lauren's idol and for whom. Meanwhile, Wardog tried to convince the younger members in Kama -- like Gavin and Julia -- that they needed "soldiers for war." Wardog pitched the idea to the young castaways that Ron, Eric, David and Rick were eventually going to work together to pick off Victoria, Gavin and herself. "Wardog might have a point. I didn't realize it until he said it," Julia said in a confessional. As a result, Julia wanted to push a David or Rick vote to test original Kama's loyalty. Eric told Julia they should wait until eight people remain to do that. Julia determined Wardog was correct after her conversation with Eric, so she wondered if this was the right time to make a big move. Julia and Gavin then discussed teaming up with Wardog for this vote and taking out the head of the snake -- either Ron or Eric. The pair envisioned having power in the game after such a move. Ron and Eric reminded the original Kama members they needed to stick together to make the family visit on the island, but that mind trick backfired because it made Gavin realize he needed to win for his family and be more bold. Julia and Gavin, however, had trouble convincing Victoria to flip. Victoria wanted to wait one more vote to rise up and take out Kelley first. At Tribal Council that night, Rick announced he was against Lesu and trying to get on the Kama train. The whole tribe was also well aware the original Kama 7 got together on the beach before Tribal and had a long chat. David acknowledged while he wanted to be "a pilot" instead of "a passenger" in this game, the numbers were going to dictate he'd have to be a passenger, unfortunately, for this vote. Ron advised his alliance to stay strong and stop being paranoid, but Wardog noted if Lesu stayed as "packages" -- meaning two groups -- and get picked off, original Kama would eventually have to turn on itself and vote off the weak. David also announced players needed to build a resume for Day 39. But Victoria said timing is everything and it might just be the wrong time to make a big move, with 12 people still left in the game. The castaways then voted for whom they'd like to send to Extinction Island. No one opted to play a hidden Immunity Idol, and then Probst read the votes in the following order: Kelley, Lauren, Lauren, Kelley, Eric, Eric, Eric, Eric, Eric and Eric. "Bravo! Man, you guys are good!" Eric said. "What a fun experience. I hope I see you all soon." Eric decided to take the torch and head to the Edge of Extinction. The episode's closing credits later showed that Eric and Ron voted for Kelley; Rick and Julie voted for Lauren; and Victoria, Julia, Aurora, Gavin, Kelley, David, Wardog, and Lauren voted for Eric.